What if i need to make amendments? What if my events is not listed in the events listings? We will issue you with security tags by post, or at the time of collection, for all items you are entrusting to us. You will NOT get your bike/holdall/spare wheels back unless we can match the tags with your receipt or photo ID. This ID requirement also applies if you arrange for somebody else to collect items on your behalf. No receipt or ID = No bike/luggage/spare wheels! If there is any obvious damage to any items it will be noted on the damage form thereby protecting both parties in the event of any claims for compensation. Saddle bags must be removed and can be secured to the to the bicycle top tube for transport. Carbon fibre hydration systems must be removed and carried in your luggage or they can be left on the bike at the owners risk as Cycle Transfer cannot accept any liability for any damage that may be caused to such fragile items. Solid disc wheels must be removed and handed to Cycle Transfer in your own wheel bag – if left on the bike it is at the owners risk. A standard rimmed wheel must be fitted by you to your bike in place of the solid disc wheel for transport. What else can you transport? For a nominal fee we will also transport a small holdall or rucksack. The holdall must not have wheels or it will not be transported. The holdall is a great way to transport clothing, shoes, helmet, tools, water bottles, wetsuits and CO2 cartridges (not permitted on airlines). The maximum allowable weight for holdalls is set at 5 kilos. Liquids must not be placed in holdalls. We recommend that nutritional items such as energy bars, gels and powders be carried separately or if placed in a holdall they should be in a sealed container. For a small additional fee we will also transport up to two spare wheels per bike for each cyclist. Spare wheels will only be transported if they are in wheel bags provided by the cyclist. Where will you collect from? We will collect from your nominated address (usually home or office address) in any of the following: England, Scotland, Wales, Northern Ireland and the Republic of Ireland. If a customer is not present at any of the agreed collection/meeting points, either before or after the event, it is their responsibility to make every effort in advance to notify us of any delay. Where possible, subject to the driver’s schedule, the time the vehicle remains at the collection/meeting point may be extended. What if i miss my bike collection? If an athlete fails to meet the driver to hand over their bike and any other items at the nominated address and time they are responsible for making alternative arrangements to get their bike/holdall/wheels to their chosen event or nominated address (whichever is applicable), at their own expense. If an athlete fails to meet to receive their bike and any other items at their event accommodation or nominated address (whichever is applicable), at the agreed time, they are responsible for making alternative arrangements to collect their bike/holdall/wheels from us. How do I get my bike before the start of my event? Your bike will be delivered by us to your event accommodation at the agreed day and time, usually three days before the event. You will be required to provide your security tags or photo ID before your bike/holdall/spare wheels will be released. What are the security arrangements at the event? Bikes will remain with us until they can be delivered to the athlete. In certain circumstances bikes may be delivered to the athlete’s accommodation prior to their arrival provided they can be placed in the person’s allocated room. Where do I return my bike after the finish? After completing your event you should return your bike to us at the designated meeting point at or within walking distance from the finish area. Alternatively your bike can be collected from your accommodation before 11.00 hours the following morning. Where do I return my holdall and/or spare wheels after the finish? Holdalls and/or wheels must be returned to us at the designated meeting point, at or within walking distance from the finish area, when an athlete returns their bike. Alternatively your holdall and/or spare wheels can be collected from your accommodation before 11.00 hours the following morning. Where do I get my bike back? 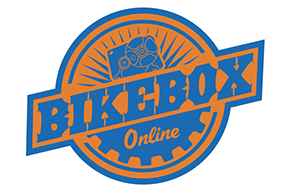 We will return your bike/holdall/spare wheels to the address where we collected them from before your event. When do I get my bike back? Usually bikes/holdalls/wheels will be returned to the collection addresses within a few days of the finish of your event, we will contact you in advance to tell you a date and rough time.